About 5,000 teachers have left the teaching force over the last five years, prompting calls from observers for more to be done to retain them by reducing their administrative load. That said, the annual resignation rate of teachers has "remained low at around 3 per cent" the last five years, said the Ministry of Education (MOE). The teaching force of more than 33,000 officers has remained stable, it added, in response to queries from The Straits Times. Still, the resignation rate has gone up from 2 per cent, or 400 to 500 resignations a year, a figure disclosed by MOE at the Budget debate in 2000. There were about 23,000 trained teachers then. The Straits Times spoke to a dozen teachers who had left and two-thirds said they did so because of the administrative workload - a longstanding complaint that underscores the challenge the MOE faces in trying to resolve the issue. As far back as 2005, the ministry had hired allied educators to help teachers with their paperwork and students' counselling needs. It had said previously it aims to employ 2,800 of them by last year. The ministry said the top three reasons for teachers' resignations are "for childcare, other family considerations and a desire for a change of job". Former chemistry teacher Lily Sim, 36, left the profession in 2014. On a typical day, Ms Sim, who spent 10 years at National Junior College, would be in school from 7am to 7pm. More than half of those 12 hours were spent on tasks such as organising school events. "Teachers are not given enough time to build the depth in teaching skills due to other duties that they have to juggle," said Ms Sim. "I decided to leave as I wasn't able to focus fully on what I love to do, which is to teach." Long hours, huge class sizes, and overly demanding parents are reasons they called it quits, some former teachers said. Mr Bernard Lim, 59, who has about 20 years of experience teaching in schools, said the "paperwork increased many-fold over time". It took a toll on him, resulting in two bouts of depression in 2003 and 2005. "When I was close to recovery, I reasoned the illness would recur if I stayed on, so I resigned," said Mr Lim, who left the profession at the end of 2005 and is now a tutor. While observers note the proportion of exits is low compared with other professions, they say it is a waste of the trained teaching talent. 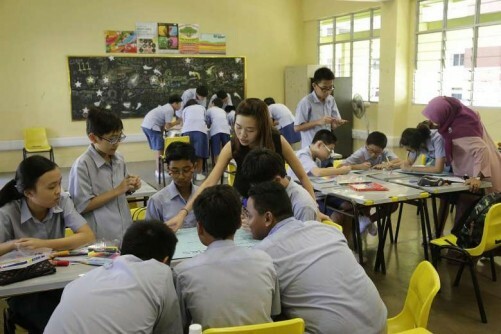 Jalan Besar GRC MP Denise Phua, who heads the Government Parliamentary Committee for Education, said the annual resignation rate for teachers is "not overly alarming, compared to other industries". "But every excellent educator who leaves the sector is still one too many," she said, adding that the MOE should continue looking into how the marking load can be reduced. The ministry has made several improvements in recent years. In August last year, it said up to 30,000 teachers will get 4 per cent to 9 per cent increases in their monthly wages to keep pace with the market. Mr Clarence Tng, 40, a head of department at Tanjong Katong Secondary School, said the MOE and schools have been looking at ways to assist teachers. For instance, teachers are supported by allied educators and the schools' administrative team. He added that being an educator involves putting students' interests first. "That is the very uniqueness of this profession. Sometimes, we sacrifice at our end so that their lives can be more fulfilled."